The second Global Village Symposium was held in the Vienna City Hall in February 1995. About 200 participants discussed the topics on "Living Spaces and Life's Quality in the Age of Telecommunication". 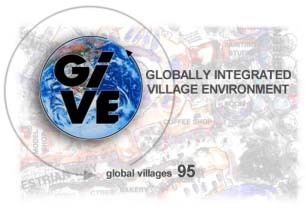 This Symposium was the start for the Global Village Online Conference, which will continue on the Web until the next time we really meet at the Global Village 97 Conference - to be held in February 1997 in Vienna.